Everybody needs a quick little make sometimes, right? 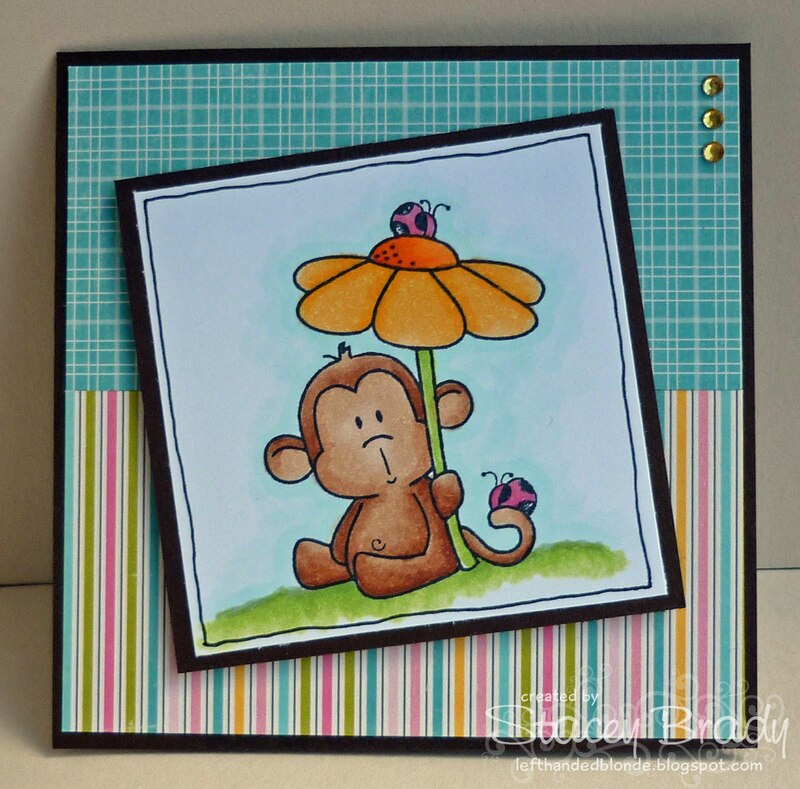 Well, I knocked this little pair up super quick with a couple of mega cute little CC Designs stamps from Dies to Die For. My colouring is a bit iffy unfortunately but I think the papers make up for it. I could literally eat these babies. On. Toast. Mmmmm. Anyway, I'm going to enter this little duo in to the challenges at Cute Card Thursday (Whateva) and Creative Card Crew (Cute and Girly). Stamps: 'Flower Power' Itzie Inkies by CC Designs, available HERE from DTDF. Paper: Ducks in a Row by October Afternoon. Copic Markers: E29, E31, E33, E35, E37, E50, E51, E53, R81, R83, R85, YG03, YG63, YG67, Y15, Y17, YR23, W1, W3, W5, W7 - available HERE from DTDF. I will leave you today with one last thought: Woo-hoo! It's Friday!!!! Stacey oh my he is soooo darling, LOVE your cards you created with him!!! SWEEEET! Hello Stacey, I love the beautiful papers you have used and I love the Gems you have used. What sweet little images. Adorable cards. Two lovely cute cards Stacey. Love how colourful they are. That's a great card Stacey! 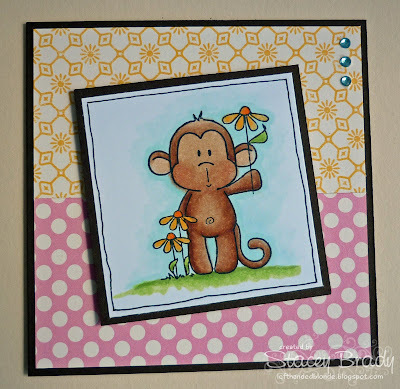 Super adorable little cards Stacey!! 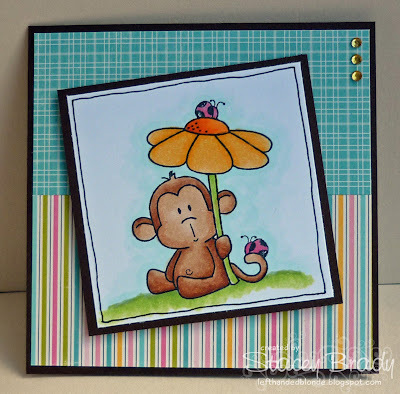 What adorable cards Stacey - super sweet images!